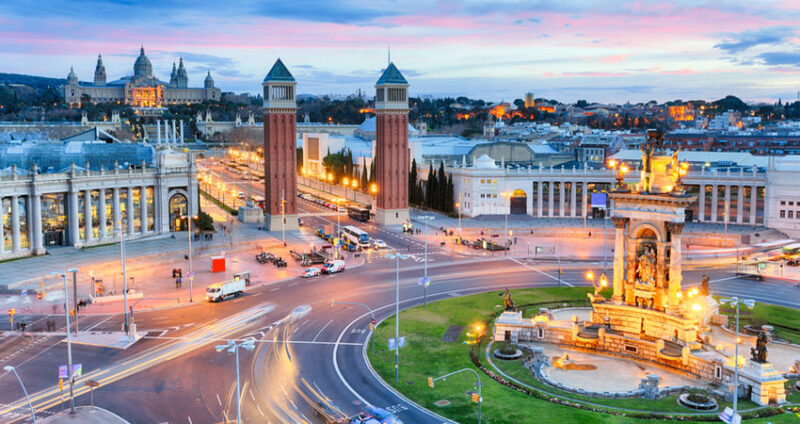 I was lucky enough to attend the Canalys Channels Forum in Barcelona this year. As ever, it was a great opportunity to catch up with friends old and new and hear from Canalys, the Tech Channel Analyst on the previous year and the trends they’re forecasting for the next 12 months. As a special mention, I’d like to thank Arrow ECS. 2018 has been an extraordinary year for the EMEA channel with overall growth surpassing 12%. According to Canalys however, the outlook for 2019 is more gloomy with growth forecast of just 5%. Interestingly, commentary from top line vendors such as Dell EMC and leading European partners who also got to share the stage were less convinced by the prediction, believing that growth would continue at a similar rate. Much of the growth seen has come from exceptional revenues in PC shipments, lower volumes but higher sell out value in server compute and as-a-Service offerings from partners. Whether the growth continues or slows, the case for putting your marketing under the spotlight remains – it should be a key part of your strategy to keep growing or buck the possible downturn. Although not a new subject of discussion amongst the channel, Canalys believe that AI is starting to go mainstream. Businesses of all kinds are embarking on exploratory projects to determine the role it can play for them. Whether that means augmenting customer experience or reducing unnecessary head count, the full breadth of use cases remains to be discovered. The channel needs to take the lead in exploring the role of AI in their own businesses and where it can complement existing functions. Figuring out go-to-market solutions that can begin to meet this emerging demand will be critical. Amazon Business poses a significant threat to the channel. The emergence of a volume player with the potential scale of Amazon is a daunting prospect. Canalys reported on the impact that Amazon has made on the US market and how there are examples of businesses who are literally now sourcing everything they need from tea bags to servers through Amazon. Canalys hinted that the vendor community will need to think carefully about positively discriminating towards Amazon with favourable terms because of the ramifications this could have for the wider channel community. Dion Wiesler, HP CEO was asked about this during his keynote and confirmed that Amazon would be treated like any other partner and not offered more favourable commercials. However, it’s unlikely Amazon will offer the wrap around service and know-how made possible by the value channel, and in the subscription-based economy we now operate in, it’s hard to see how Amazon can win out on IT. Importantly though, the channel must not get complacent and continue to focus on building genuine value-adding services that meet genuine market demand. Box shifting will continue to be squeezed and commoditised. Amazon and Microsoft are both spending around $2bn per quarter on technology to maintain and grow their respective cloud platforms. It’s an enormous cost and one which is hard to ever see ending. 2018 saw Amazon for the first time achieve a break-even position on AWS. Arguably, Microsoft is in a more positive position with circa $50bn of cash reserves, but the reality is that the two leading cloud businesses are so heavily invested in cloud that they cannot allow their respective ventures to fail. Expect their service offering and their commercials to get more creative as they seek to grow the user community. For the channel it creates a new dilemma of customer ownership and how best to insulate yourself from the will of the vendor once the customer is engaged. The possibilities that come with SOC technology are just around the corner. SOC has the potential to enable smaller, more powerful devices and rapid leaps in processing power compared to Moore’s Law. Apple has invested heavily in SOC over recent years and is not far off deploying this technology into its devices. Canalys suggested this could offer new commercial models and potentially cheaper devices. In fact, in the case of Apple, Canalys hinted this may form part of a wider strategy to rapidly grow their device footprint after it was revealed that Apple have quietly been selling iPhone 5 and 6 devices in emerging markets like India and are currently the #3 smartphone vendor globally behind Samsung and Huawei. Maybe Microsoft will get out of the device market? Last year, Canalys predicted Microsoft would be out of the device market and no longer trying to manufacture hardware like the Surface. In 2018 they’re still at it. When asked about this prediction 12 months on, Canalys CEO, Steve Brazier reminded delegates this was a 2019 prediction, but one he believed would still hold true. Getting out of devices will ensure Microsoft ‘sticks to the knitting’, allowing others to take up the mantle of device innovation and development. Everything as-a-Service won’t show any sign of abating over the next 12 months. The popularity of cloud-based services for business and the general acceptance of as-a-Service in our private lives will only continue to support this trend. As generation X and Y emerge as IT buyers, the expectation of having the latest and greatest technology is commonplace. Channel partners need to explore ways to augment traditional lines of business to arrive at as-a-Service equivalents. In our experience, the rise in interest in services like Device-as-a-Service has increased massively recently and more partners are looking to take these kinds of offerings to market. With so much flexible finance available within technology its important partners do not simply wait for the vendors to drive this innovation and should instead look at building their own offerings that unify technology, service and support into consumption-based services. The reality is we’re in a hybrid world. Partners styling themselves as cloud-only or born in the cloud, simply won’t last. Canalys reminded us that not everything can live in the public cloud and therefore customers need suppliers who can offer both on and off-premise solutions. Canalys expect to see pure-play providers like this increasingly get acquired as traditional partners look to augment their offerings to be able to offer true hybrid solutions. With so much going on in tech and the channel there can be no questioning the importance of examining your marketing strategy, what you go to market with and how you do it. If you’d like to have a fresh pair of eyes look at what you’re doing or would like help addressing some of the opportunities outlined in this article, then get in touch. Geoff Undrell is a Director at Asgard Marketing. 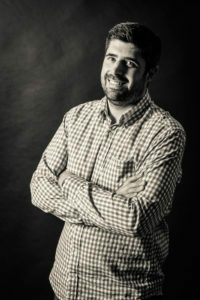 He enjoys working with our customers to define their marketing strategy via our Marketing Strategy Workshops but also oversees many of the content creation projects for our customers.